Think about how often you passed beauty salons and boutiques with the same name or tut-tut-ed in admiration watching a movie with another Oscar winning beauty depicting the main character? But was the queen really as perfect as she is presented or do we have to deal with another historic hoax? Unfortunately, researchers fail to reach understanding and tell for sure what the great governess looked like. Despite high level of the ancient Egypt’s development, particularly in terms of art, no realistic portrait of Cleopatra in good quality was discovered. So we only have to settle for archeological findings in the shape of antique busts and coins that allegedly depict the queen. Should Cleopetra have lived in our times, she would have hardly been picked for beauty contests. Huge hawk-nose, sharply-protrusive pointed chin, deep-set eyes and impending heavy forehead over them are utterly inconsistent with modern beauty standards. 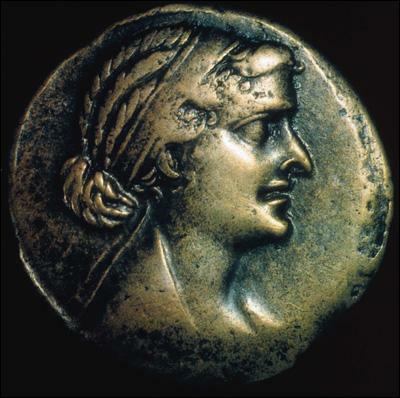 Yet it was this how Egypt’s first lady looked on ancient coins found in the vicinity of Cairo. Impressed archeologists from Milan Catholic University in charge of excavations unanimously declared: “She cannot be called even pretty, not to mention beautiful…” Yet, despite busted myth concerning “facial” looks, researchers believe that information about the most famous Egyptian woman being skilful vamp is true after all. Compensating imperfect general appearance with conduct, talking manner, soundly picked outfits and overwhelming self-confidence, she managed to seduce Emperor Caesar and drove Commander Mark Antony almost crazy. Since she was young, Cleo started taking classes not only of the thing nowadays called pick-up, but also more serious subjects and studied foreign languages, history, code of conduct and traditions of various peoples. She was mastering everything perfectly and implementing successfully. Acquired knowledge multiplied by innate cunning yielded necessary results. Now imagine what if the queen had lacked self-assuredness and pride. She would have been standing in front of a mirror and repeating, wiping away her tears: “I’m so ugly, no one will ever fall in love with me, who needs the likes of me…” – and would have lost her heart without even trying to improve herself. And there would be no recollection of her famous secrets of attraction like milk baths, no capturing in literature and cinema masterpieces. In the latter art her image was created by prime female beauty icons of the 20th century: Vivien Leigh, Sophia Loren and Elizabeth Taylor. Speaking of which, it was thank to Elizabeth Taylor that make-up with significant amounts of black eyeliner became fashion around the globe. Having compared features of these actresses to Cleoparta’s there wasn’t much in common discovered. 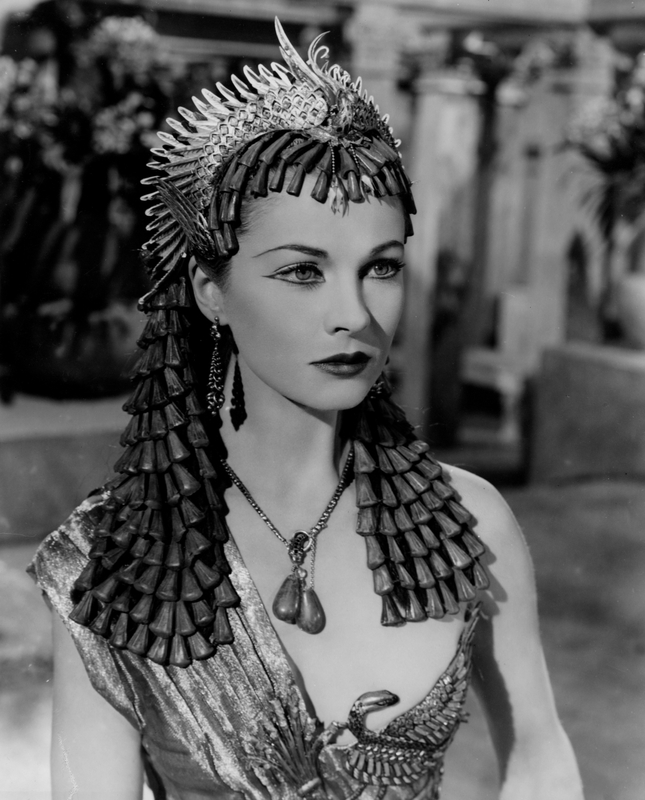 But with their help Egyptian queen’s fame as a beauty became even more entrenched in minds of viewers. Several years ago one of modern paragons of beauty, Monica Bellucci, also played a role of the legendary governess in “Asteix & Obelix: Mission Cleopatra” the movie. The film’s genre is a comedy yet, despite that, scale of plans, conduct manner and general appearance had to be royal. And although Monica, just as previous impersonators of the character, is much prettier, she found it an honor to play Cleo herself even in a not entirely historic movie. Well, since acknowledged beauties compete for the right to personify peculiar Egyptian domina on the screen, it turns out that precise facial features aren’t attributes of beauty. Ancient Greek principle of kalokagathia – unity of external and internal – in this light demands fundamental reconsideration or at least amendments. Because being well-groomed, stylish and self-assured – this is what was cornerstone of Cleopatra’s art of seduction. Some may come up with opposite arguments referring to historic sources and insist that for those times her look was just about perfect. 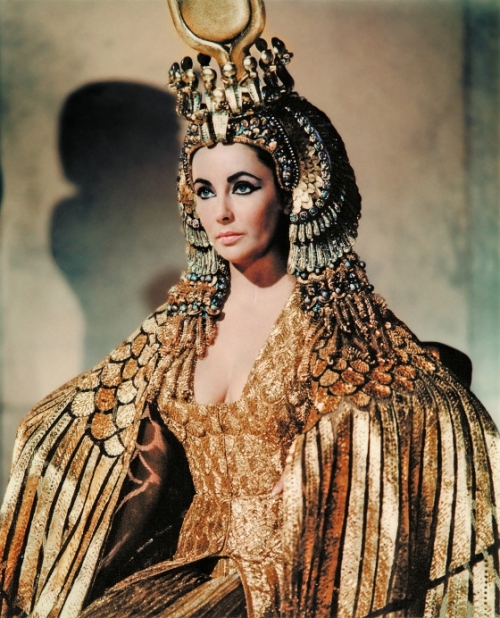 No matter how significantly busted the myth is, Cleopatra remains an acknowledged icon. This is how one should love herself!